Not only is Target a great place to shop stylish and affordable wardrobe staples (our own collection included), but the mega-retailer is also a great resource for the pieces you need to upgrade your closet. From mirrors to shelving to furniture, Target's lineup of home goods boasts a solid collection of items that will turn your closet into a stylish oasis. We browsed through the latest offerings from Target, and we found some quality pieces. The best part, in true Target form, is that nothing even comes close to $100. You can finally have your dream closet without breaking the bank. Keep scrolling to shop some of our favorite wardrobe and closet essentials from Target. 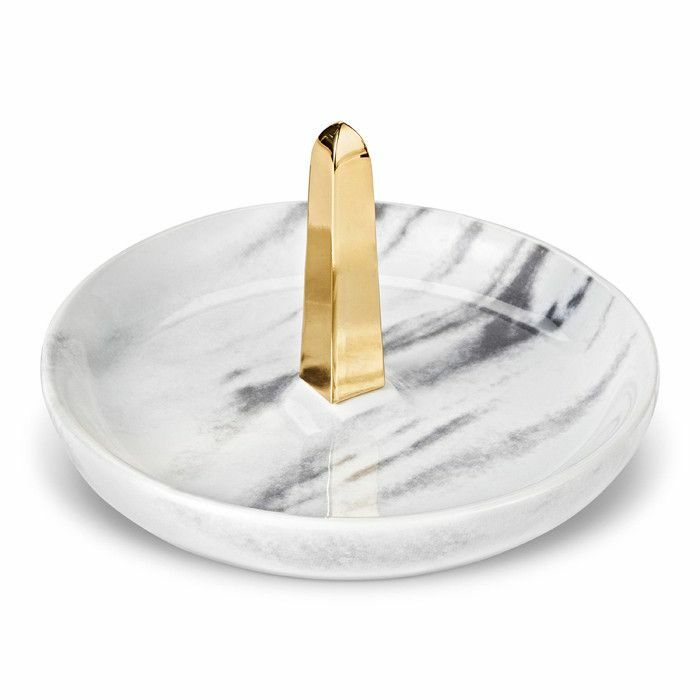 We love this chic little ring dish from Nate Berkus for all our favorite dainty pieces. This is probably the chicest file box of all time. We love how minimalistic this mirror is, and it doubles as a place to hang clothes. Three hooks in one! Plus the brass finish makes it look way more expensive than it is. We can also see this marble tray front and center on our bar cart. This hanging basket makes a great place to store our favorite sunnies. This luxe-looking storage box would be a great place to store off-season pieces. Every woman needs a chic tufted ottoman in her closet, right? Shop more amazing closet essentials at Target, and then tell us the one thing you want to change about your closet now in the comments below.